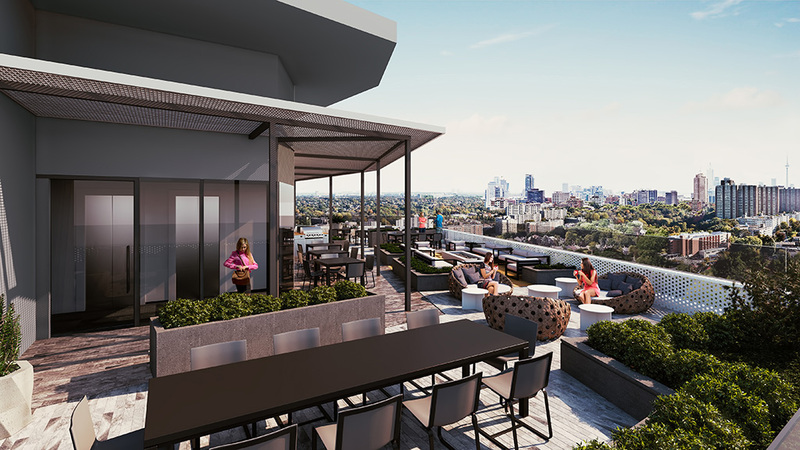 The outdoor terrace offers spectacular views from the 19th floor, with a layout that echoes the sculptural quality of the building. The west-facing sundeck, complete with a water feature, is an outdoor retreat. Surrounded with greenery, it is a perfect place for meditation and yoga. An open metal canopy provides shade for two barbecue areas. 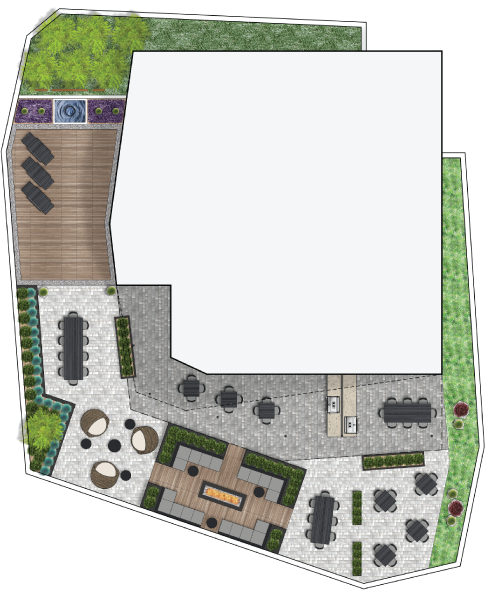 A variety of elegant south-facing outdoor rooms create abundant opportunities for semi-private or communal dining and lounging.